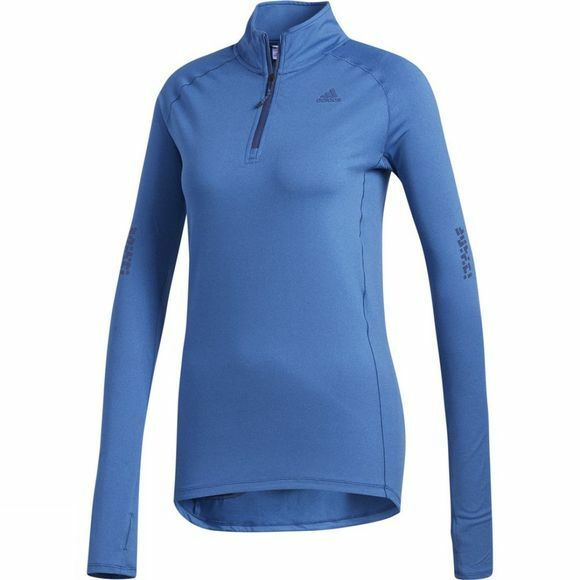 Your body temperature flexes from the warm up phase of your run to cool down, and this women's running sweatshirt is designed to respond to those changing needs. Sweat-wicking climalite® fabric draws moisture away from your skin for long-lasting, dry comfort, while the lightweight, soft fabric with a bit of stretch adapts to your body's movement. A half-zip front with stand-up collar combine with thumbholes that can covert to gloves to provide on-the-go adjustable coverage.